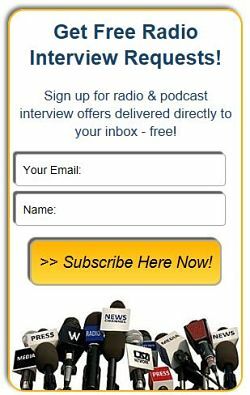 Dr. Clarissa Hughes, Women's Mindfulness Expert - Radio Guest List.com - How to Get Radio Interviews and Find Podcast Guests! Dr. Clarissa Hughes is deeply passionate about mindfulness and how it can support women of all ages but especially how it can help women go through menopause with less suffering. Dr. Clarissa is a Mindfulness Coach with a decades-long career in the corporate world that taught her much about the challenges of living mindfully and staying true to values and purpose. She is passionate about sharing the path of mindfulness and compassion which has been, and continues to be, the most transformative path for staying calm, awake, alive, and aligned with what truly matters in our lives. Today Dr. Clarissa is the Author of The Mindful Menopause: The Secret to Balance, Vitality and Clarity Through the Change and the host of “A Little Breathing Space” podcast. Her new book details how "Menopause is a journey" and that mindfulness can support women through this life change with greater ease by bringing acceptance and compassion to the heart of their experiences. Book Dr. Clarissa to learn how mindfulness can help manage stress, mood swings, self-criticisms and even more difficult and painful physical and mental experiences. Your listeners will learn to bring simple daily mindfulness techniques into their daily life to help them through their full menopause journey.